San Gimignano is a treasure on the hill and jewel of Tuscany, wonderful for cycling and exploring. With its thirteen outstanding medieval towers, it is clear why the town is on the UNESCO world heritage list. 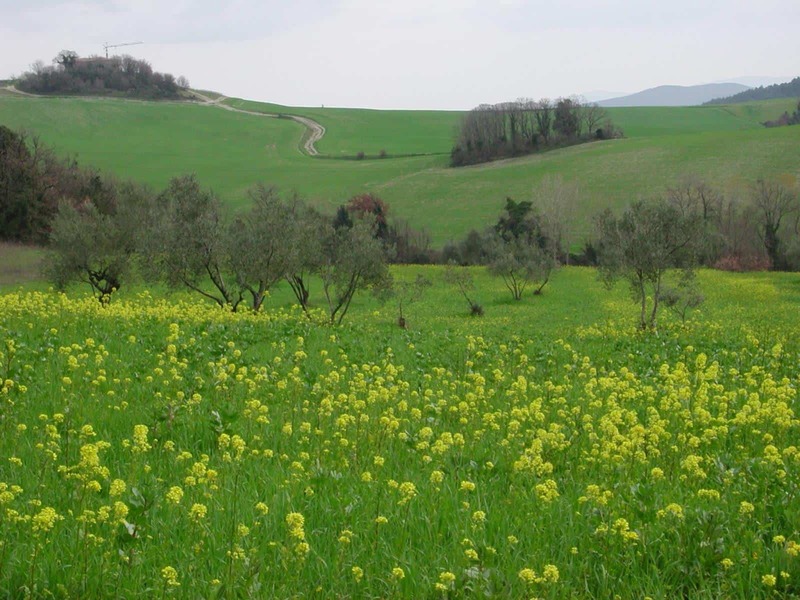 You will ride over clouds of sunflower fields under the Tuscan sun and along cypress lined country roads through olive groves and vineyards, which produce some of the world’s finest olive oil and wine. You shall savour the flavour of these ingredients in the outstanding local cuisine. Travel to Etruscan and Roman times, from one picturesque hilltop to the next, each with its own history and charisma. Get pinched, this is the real thing. 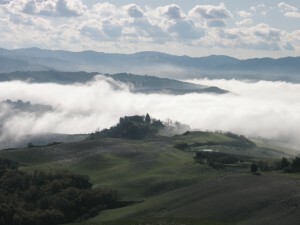 Stay in a quintessential Tuscan Estate with swimming pool and excellent traditional Tuscan restaurant. 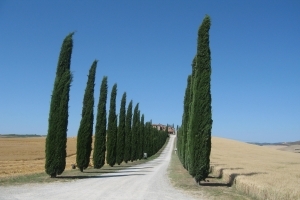 Arrive at the farmhouse near San Gimignano and unwind, as this shall be your comfortable Tuscan home for the next week. Breathe in the wonderful country air and take a stroll along the classic green rolling hills, marvelling at the breathtaking views of the surrounding countryside. Immerse yourself in the tranquillity. 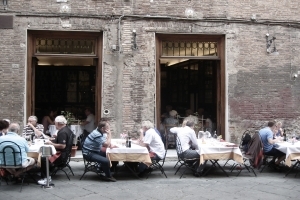 Today, you can choose to visit the nearby cities of Siena or Florence, both easy to reach with public transportation. Famous for its “Palio” horse race, promenade the narrow streets of Siena marveling at the magnificent palaces, churches and squares. Alternatively, visit the Duomo, the Ponte Vecchio (Old Bridge) and experience the unforgettable Renaissance splendor of Florence. Transfer to the magic and mysterious Ancient Etruscan city of Volterra, where you can explore its Alabaster artisan shops, Roman Theater, superb palaces and alluring city walls. Then hop on your bike for an exhilarating downhill ride into the valley, through a patchwork of wheat fields and impressive villas, followed by a delightful ascent to return to San Gimignano. 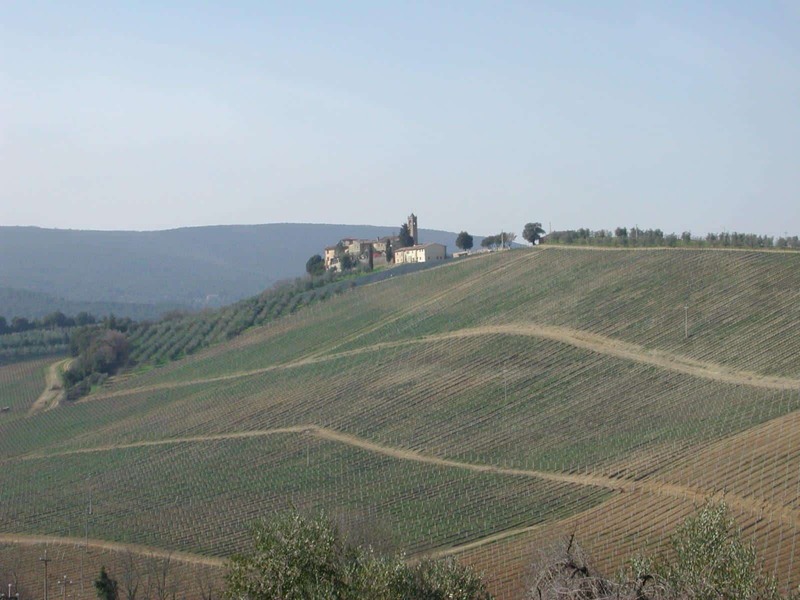 The romantic landscape between Castel San Gimignano and Casole d’Elsa is mostly open pasture used for sheep grazing and wheat cultivating. 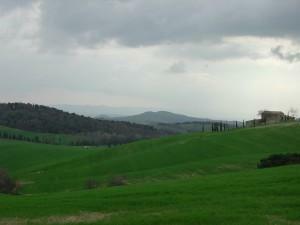 The essence of the Montagnola area shall captivate you with its quiet, peaceful countryside. 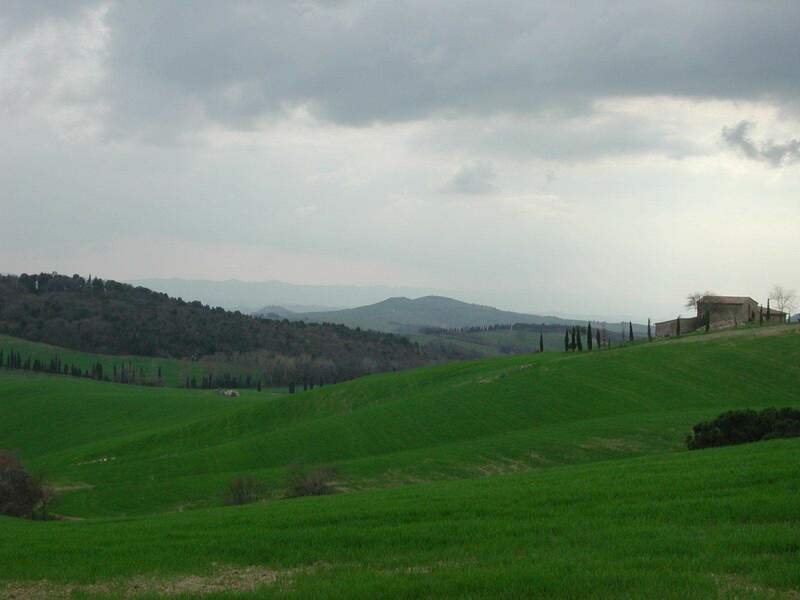 Cross kilometers of beautiful rolling green hills and marvel at the small local churches and quintessential Tuscan farmhouses. Personal expenses such as lunches, dinners, drinks, phone calls, extra transfers etc. The rides are along well-asphalted country lanes, secondary roads with little traffic, and 1/3 of the time on good dirt roads. 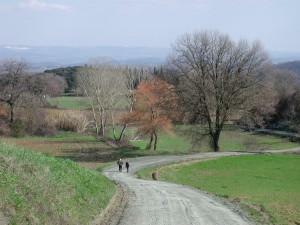 Near larger towns, the roads are more trafficked. Best arrival & departure airport: Florence, Pisa and Bologna Airports Best arrival & departure stations: Florence, Pisa and Bologna station Trip availability: Any day from 18/03 to 07/11 Getting there and away Florence, Pisa and Bologna Airports, are served by major and low cost international flight carriers. 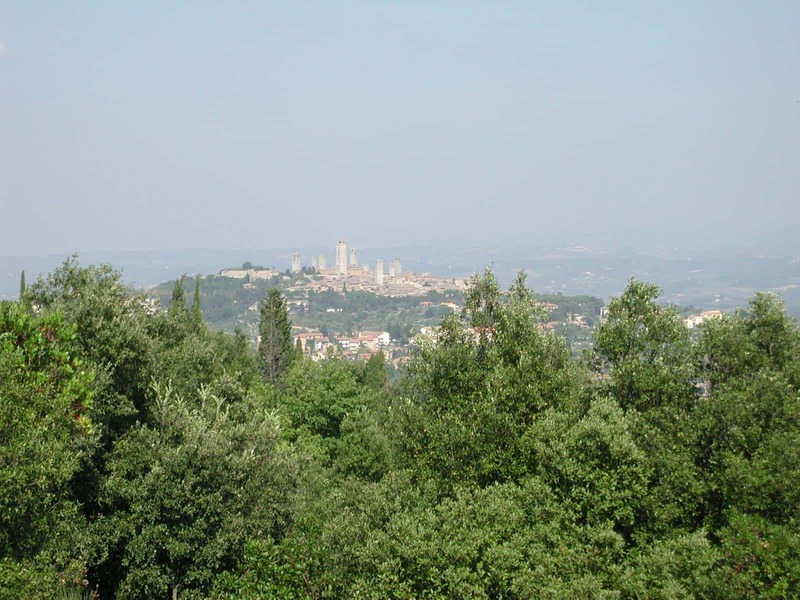 Rome Airport is a bit farther away.There is a regular bus and train service from Florence to Poggibonsi and San Gimignano, as well as connections possible from Pisa, Bologna and Rome. We can also arrange private transfer to and from the airport. 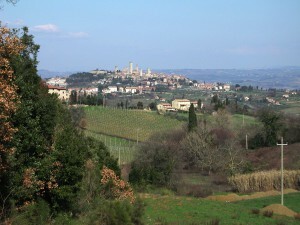 You stay in a family run accommodation located 5 km from San Gimignano, is a wine-and oil-producing Tuscan farmhouse. 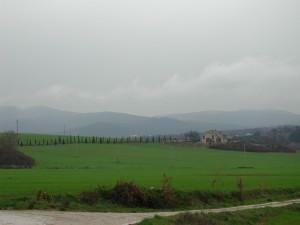 It covers an overall area of 40.00 hectares, much of which is used to grow fodder and cereals. 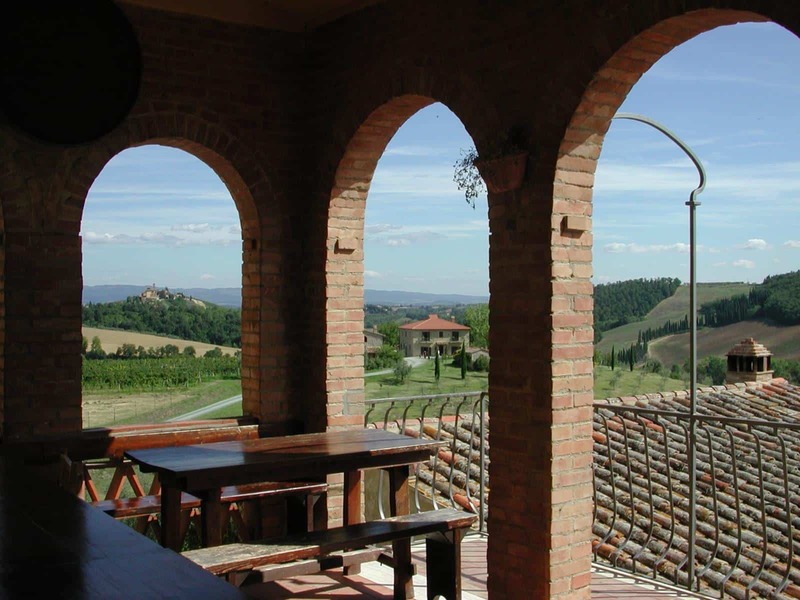 The accommodation is simple in style but very characteristic, with great views on the hills and the valley surrounding, a good Tuscan style home-cooking restaurant and a nice swimming pool open from May to September. 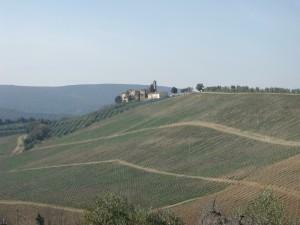 IMPORTANT INFORMATION: prices for this trip can be based on Fattoria Voltrona or Fattoria San Donato. Fattoria Voltrona is cheaper but there is 1,5 km of a steep descent (and ascent) to reach to road level, so clients need to be physically fit, whereas Fattoria San Donato is more expensive but it is on road level, so it is easier. During high season, you might sleep in different accommodation to the ones indicated in the description. In some cases it is possible that your list of accommodation differs somewhat. This means that start or end of the routes can be slightly altered. Therefore, you should check to see if your accommodation is the same as that mentioned in this programme. If not, you must be alert at the start and end of the routes. In choosing alternative accommodation, we have tried to maintain the same standards and quality. 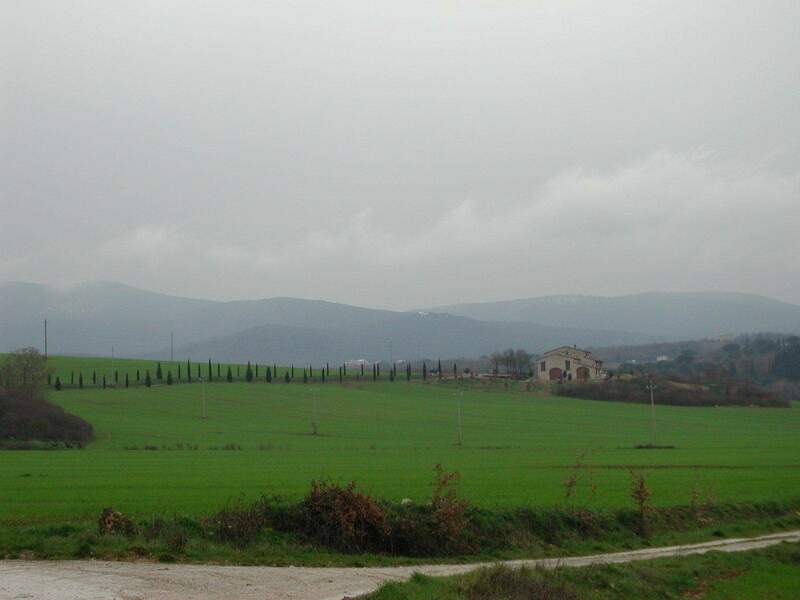 We have also tried to stay in the same towns and villages, in order to change routes as little as possible. There is no luggage transfer included in this trip. On arrival and departure, when you travel with public transport, you always take your luggage with you. Self guided walking or cycling requires individuals to use problem solving skills, be adaptable and have a keen eye. It is recommended that you are comfortable map reading, referring to route notes and that you have a good sense of direction (or are willing to work on improving this!) Sometimes route finding, losing your way, finding it again and asking the locals for help is all part of the adventure. If you’ve never been on a self guided trip, after the first couple of days you will get the hang of if as the vast majority of our first time travellers attest. Please be assured that our written material issued to you for route finding is updated regularly and we provide a 7 day service hotline in the event of any problems. There is a certain level of the unknown that comes with self guided trips; however with a methodical approach potential problems will be averted. The freedom of a self guided trip is something that, once experienced, is sought time and time again. The concept behind most of our trips is action holidays and the fitter you are the more easily you will adjust and enjoy yourself. This walk is graded introductory to moderate. We expect participants to take responsibility for their fitness and preparations on a consistent basis prior to departure, and INCREASE the regular weekly training schedule in the two months leading up to departure. That way, when you start walking, you will feel relaxed and comfortable and strong, having done more than sufficient preparation for the trip. You will also have more energy to enjoy the views, take photos and explore the sights in your spare time, rather than just make it to the next hotel. During the day is when the most interesting features of interest will be found, and being fit allows you to optimize every situation you encounter. As a minimum, we recommend 40 minutes of aerobic type exercise; running, swimming, biking, hill walking, or gym work two to three times a week for two to six months leading up to your walk. Note the best training is the activity that you are actually going to be doing; walking up and down hill, and cross-country. Practice this as much as possible. Training should be stepped up as you get closer to departure, to an amount you feel appropriate (you don’t want to cause yourself an injury!). Using your gear before departure (boots, daypack, clothing etc) gives familiarity and comfort whilst on the walk. It makes sense to know that all your gear ‘works for you’ BEFORE departure, rather than discovering how things work or fit (or don’t!) on the trip you have invested so much in. Use the philosophy of ‘getting fit to go walking’, rather than ‘going on a walk to get fit’, to avoid problems. Bicycle touring has its inherent risks. 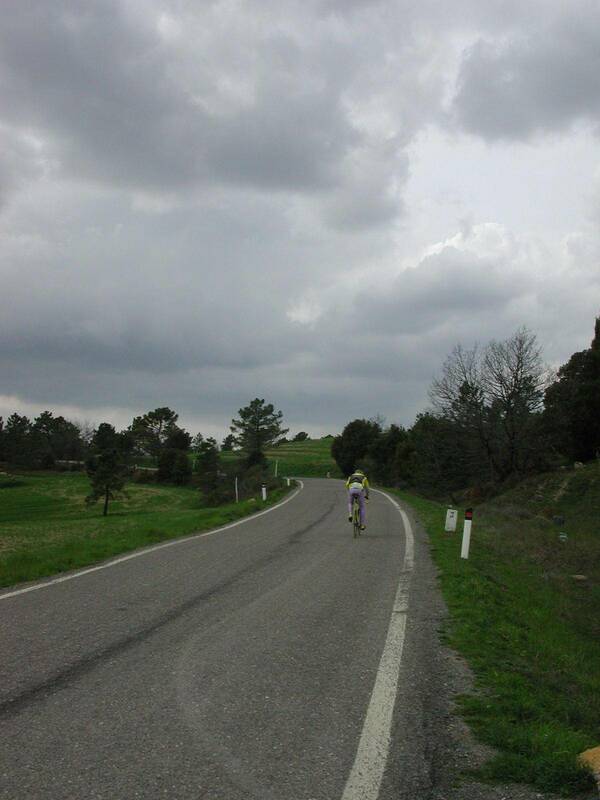 It is a sport whose safety depends upon the judgment and alertness of the cyclists. As a cyclist you are responsible for the way you ride and the condition of your bicycle. We, nor the local agent, are responsible for possible damages (physical or not) to the participants due to: physical activity during the tour, not following road regulations, alcohol consumption, breaking of means or materials, lack of medical assistance in far-off places or other not predictable circumstances. Rental Bikes – It is also possible to do this trip with Electric bikes.